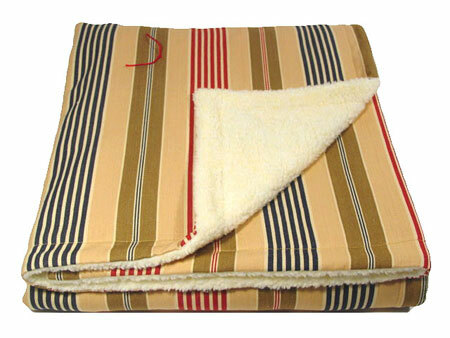 Classic patterned cotton duck is backed with soft cream-colored sherpa. Machine washable. 43″ x 47″.